Thank you for posting the link! It is interesting to see that many operators are evaluating the Massive MIMO technology. However, it is not clear from the Vodafone blog post if their trial was compatible with LTE (as the Telefonica trial was). It is also unclear if they tested “true” reciprocity-based Massive MIMO, or the inferior codebook-based approach that is normally called “full dimensional beamforming” (this term is mentioned in the text). You’re right, the press release it is not clear. The trial was very similar to ZTE trial, this means TM8, TDD, with UL SRS and UL-DL reciprocity, so LTE compatible. I think there is still a little bit confusion in the terminology on Massive MIMO…. 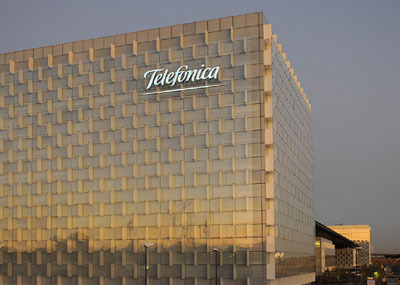 We in Telefonica O2 also conducted, though never went public, multi-user stationary Massive MIMO trials in TDD B40 using LTE reference signal & reciprocity. We observed similar results, 5-6 fold capacity gain compared to 8×8 system. I believe it is the LTE reference signal, channel reciprocity and calibration scheme that enable TDD and FDD Massive MIMO. However, the TM9 in LTE release 10 has 8 layers. So this means when applying Massive MIMO for LTE, the maximum number of UEs that can be served simultaneously is 8? Not 16 or 24? Am I wrong?